Mumbai- Manish Malhotra has just completed his glorious 25 years in the fashion industry; he is the most followed fashion designer with 1.3 million followers on Twitter. To celebrate this occasion, he kicked off Lake Fashion week S/R16 runway show along with Jacqueline Fernandez and Arjun Kapoor as the showstopper. It’s quite obvious to see the bandwagon of celebrities as Manish Malhotra is the personal face of Bollywood fashion. The surrounding looked enigmatic as the white birds flew all over the stage created the chaos of serenity and paradise with models walking in the beautiful creation of Manish. 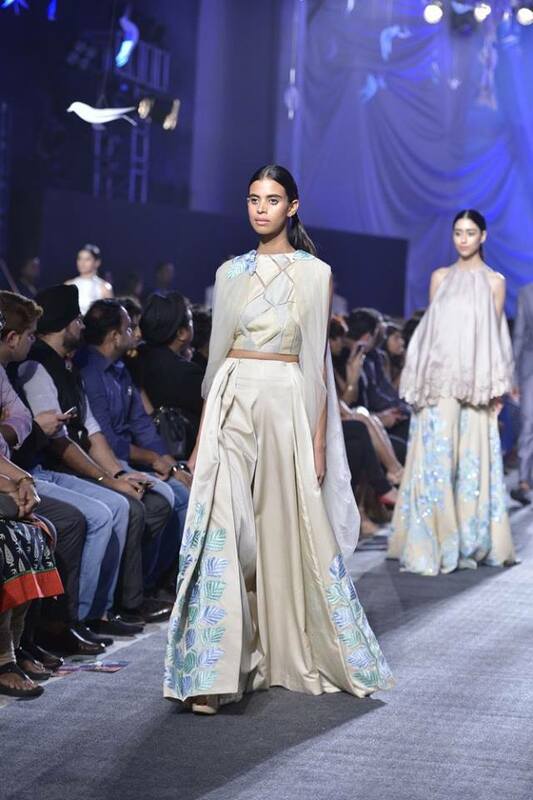 Silhouettes Manish is known for his minimal collection, this season there is no exception at all, but still we witnessed elegant designs with the choice of pastel color palettes, along with silver accents. The models walked in the mesmerizing silhouettes with mostly cropped blouse top, cape top, and cold shoulder dresses as the key trends spotted. Breezy jumpsuits and floor touching Lehenga's were the key bottom wear. Fabric Trend- Cotton, tulle and organza being a key fabric, along with cotton silk as the trending fabric which is currently the most popular fabric of designers. Elle magazine got an opportunity to have an interview with Manish Malhotra, he revealed his inspiration behind The collection. ELLE: What was the inspiration behind Elements? 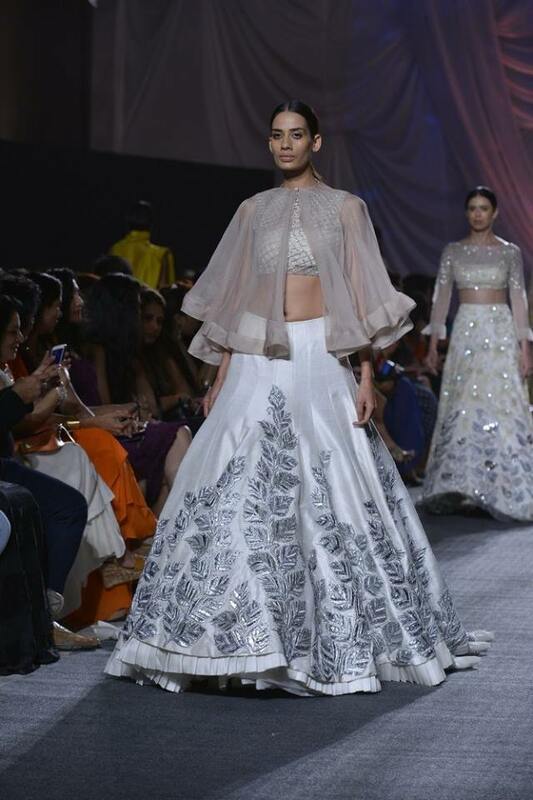 Manish Malhotra: -It's the elements of life – wind, fire, earth and water. But, I think for me, it's also about celebrating life and nature – so the whole show is summed up by the tree of life. 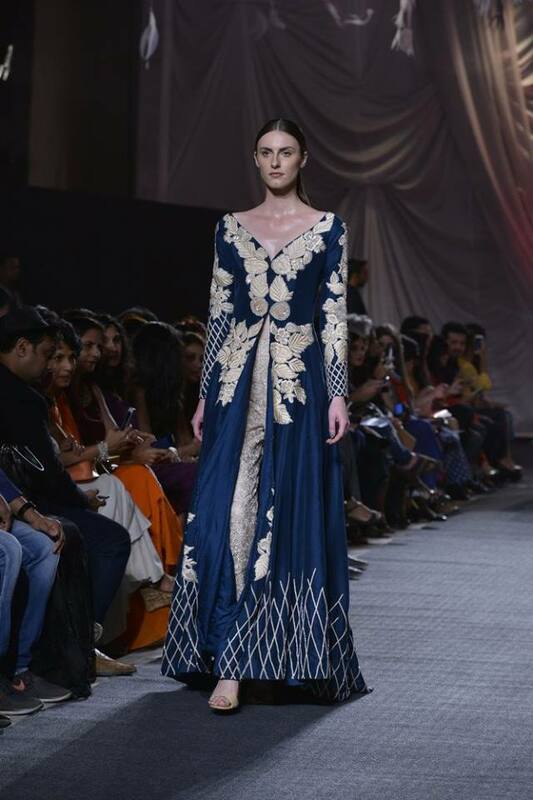 I think what's most exciting for me in this collection is that it is an Indian collection with a lot of global influence. So you see jumpsuits, flowy skirts, and smart jackets. It's a new way of looking at summer. It's for weddings; for the brides out there who want to experiment and yet look beautiful and feel sensuous. Summer is all about that, right? ELLE: What are some of the fabrics and craft techniques used? MM: There's a lot of tulle and organza. Lots of cotton and cotton silk. There's a lot of thread work. There's no gold in it at all. If there's gold, there's gold fabric. It's not gold embroidery.